I was quite impressed with my hitching efforts as I pulled up for induction at 7am that Aprily Monday morning. I’d been on the road for a while and had nothing that resembled clean clothes let alone interview attire but they let me in anyway… What I stumbled into I wasn’t quite prepared for. There were 17 of us all up. 2 Kiwis, a 56 year old woman and a random mix of youngster Aussies. Have I mentioned before that too many Aussies scare me? [ahhh shivers!] After a brief introduction it was challenge time – some strategising, some heights tests, some harness activity…. it was all new to me – I even had to ask if it mattered that I’d put the harness on inside out?! By the time we got on to knot knowledge I was just about ready to do a runner – I can’t even tie a good old granny knot! 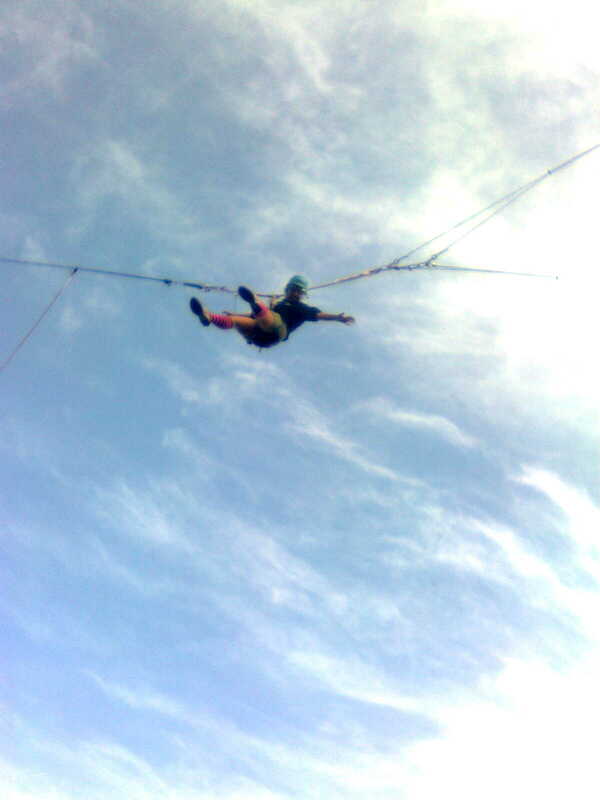 I survived the Tuesday’s leap of faith and 20ish meter pulley threading. I survived Wednesday’s canoe and heights rescues and by Thursday I was amazed that I was one of the 9 that remained. I even moved into more permanent accommodation – It was only a shipping container but it was a massive step up from the tent I’d lived in for weeks before ‘the camp’. 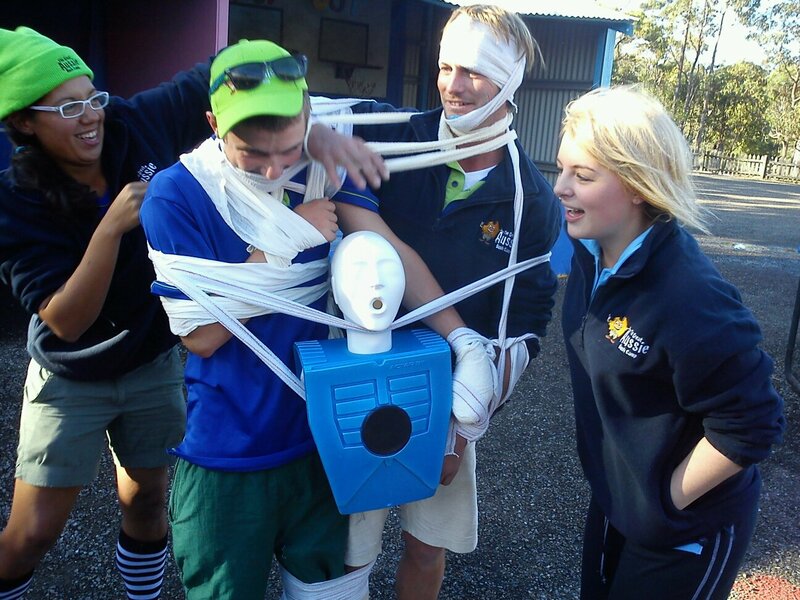 Week one as a newbie was rough – I got up on the abseil tower and stared blankly at the ropes for what must have been 20 minutes while one of the managers painstakingly assessed me on my set-up. I failed rock climbing tie-offs. Twice. I failed pretty much every hard skill there was to fail, but somehow I made it through the week. And the next one. And before I knew it I’d passed all my assessments, including the soft skills, and was handed a dark blue “outdoor activities instructor” shirt and a contract. I only planned to stay a little while – I mean Spain awaited, as did the 200 odd countries I’ve yet to visit – but I lasted the whole term and even came back from New Zealand for a second… 5 months later I’m still here and heading into a third. And if you think that’s impressive then I should tell you that even with my complete lack of coordination and previous lack of all things outdoor instructory; I haven’t killed anyone yet!